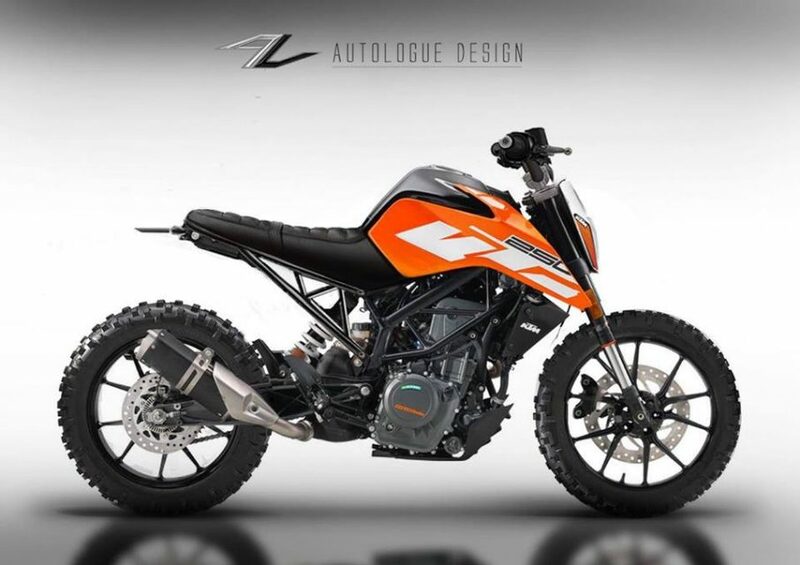 Customised Duke 250 into Scrambler and Cafe Racer Looks Astounding! Home Bikes News Customised Duke 250 into Scrambler and Cafe Racer Looks Astounding! KTM India threw down the gauntlet and introduced an all-new motorcycle when the 2017 Duke range entered the market a few days ago. Besides the heavily upgraded Duke 390, what caught the eyeballs was without a doubt the 250 cc naked streetfighter. 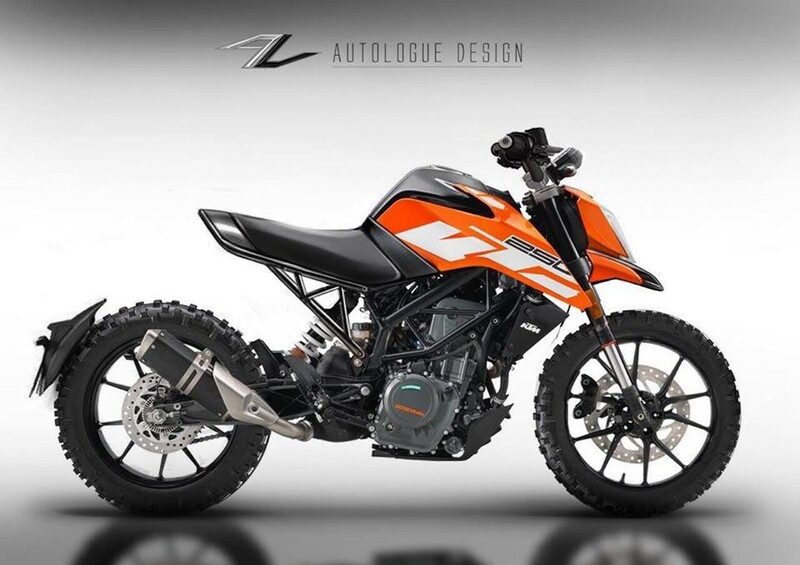 The current scenario of increasing buyers for premium bikes would have acted as a driving factor for KTM’s surprise entry as the Duke 250 does make a lot of sense. Amidst the fact that the new 250 helps in expanding the product portfolio for the Bajaj-owned Austrian brand, it bridges the gap between the baby Duke 200 and the larger 390 in terms of performance, price and equipment. KTM deserves a great deal of credit for bringing the latest 250 considering the minor sticker jobs went into the Duke 200. It is kind of an evolution for KTM or any young customer looking to upgrade but does not want to spend an awful lot. With the latest sharp-edged styling elements and chiseled bodywork, the Duke 250 is indeed a proper looker and that brings it right in the groove of tuning firms who want to showcase a breathtaking creation in whatever they lay hands on. 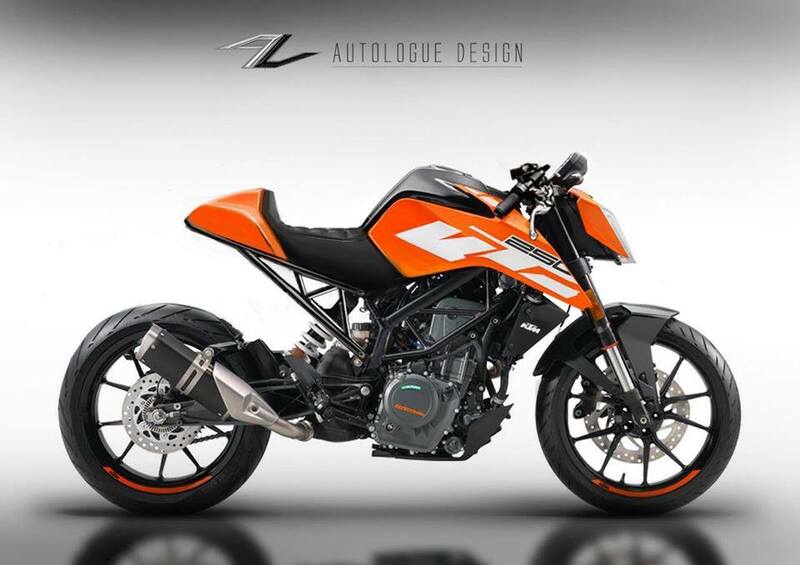 Autologue Design will be introducing new aftermarket kits for the Duke 250 and they will enter production soon. Before that, the preview images did showcase their ideology to customise the new Duke into café racer and scrambler body types with purpose built tyres. The mod-job went into the café racer includes an added cowl and raised handlebars as the rear end looks shorter due to the changes made. The scrambler Duke 250 gets sturdy tyres and other mechanical tweaks to meet its purposeful stance. The Pune-base tuning company also seems to be developing sub-frame modifications as bolt-on elements. The Scrambler kit costs just around Rs. 10,000 while its Ralco knobby tyres derivative is priced at Rs. 6,000 per set. On the other hand, the café racer kit with clips on handles and cowl comes at Rs. 10,000 and the sub-frame fitment will be priced at Rs. 15,000. An additional front fender would cost Rs. 4,000 in extra. The standard KTM Duke 250 is sold at Rs. 1.73 lakh (ex-showroom, New Delhi) and it derives power from a 248.7 cc single-cylinder liquid-cooled fuel-injected engine producing 31 hp at 9,000 rpm and 24 Nm peak torque at 7,250 rpm. The power unit is mated to a six-speed constant mesh transmission. Key highlights on the Duke 250 are slipper clutch, halogen headlamp with Auto Headlamp On feature, WP suspension, wheelbase (shorter than 200) and seat height as similar to the 390 due to the double-frame chassis and biggest tooth sprocket in the Duke range but it doesn’t have ABS even as option though.